Dr. Jennifer Brokaw worked for fourteen years as a board-certified emergency physician before founding Good Medicine, a private medical consulting and advocacy practice in San Francisco. She helped dozens of families create detailed advance health care directives using a unique program she and her team devised. Dr. Brokaw also consulted with individuals and families who were facing serious illness and advocated for them in second opinions and clinical trials. 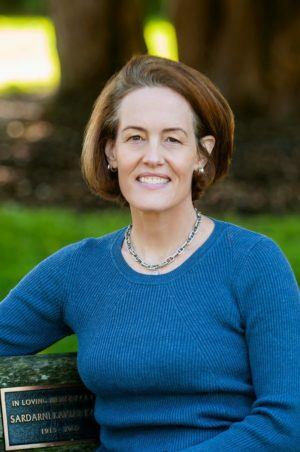 “I believe we can make health care better, safer and more cost effective by knowing the fundamental goals and values of our patients and their families.”In 2012, Jennifer became the Durable Power of Attorney for a childless relative with Alzheimer’s disease. After arranging for care and identifying appropriate living situations and support, she was challenged with a series of decisions about the level of medical care he would receive as his illness progressed. Dr. Brokaw has spoken and written about end-of-life planning, medical decision-making, and medical advocacy in a variety of settings. She has appeared as a speaker at TEDxStanford, Chicago Ideas Week, the Chautauqua Institution, JCC Manhattan, and the Commonwealth Club of California. Her work has been the subject of stories in the New York Times and SFGate. Articles by Dr. Brokaw have appeared in TIME, the Washington Post, Business Insider, STAT, and other publications. If you’d like to get in touch with Dr. Brokaw for a consultation or speaking engagement, please use the contact form. Follow Dr. Brokaw’s personal blog and sign up for her newsletter to keep up with her latest writing and appearances. Get periodic updates about healthcare issues facing older adults and their families. You will be asked to confirm your subscription by email.